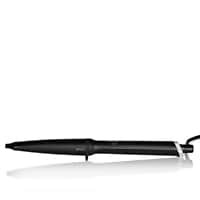 Create curls that last longer with our range of ghd curve® wands and tongs. The perfect hair curlers to help you achieve a variety of hairstyles, whether you're looking for soft summer waves or sultry glamour curls for long or short hair. Plus, for extra support, why not give your a hair a spritz with the ghd curl hold spray; with added heat protection you can create stunning curls without the guilt of heat styling. Developed by ghd scientists, each ghd curve® wand and tong features our ultra-zone technology, delivering the optimum safer-for-hair heat, that is designed to lock in your curls from day to night. 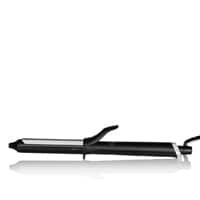 ghd curve® offers a range of styling tools for all hair types and lengths, to create stunning, healthy looking curls that really last. the on and off button is the only feature, no temp control the on button takes a while to turn on, I have to push 2 3 times. Once its on performs well, but doesn't stand out!